Why is There Still a Shortage Safe Assets? Why do we *need* more safe assets? Why don’t we just let the existing ones rise in value, thereby providing safety? If we wanted to express our desire for safety by buying fire extinguishers, then I’d agree that we need to produce more safe assets. After all, only some sort of increase in the supply of extinguishers will be able to meet that demand. But things are different if we express our demand for safety by turning to financial markets. The great thing about t-bonds is that unlike fire extinguishers, we don’t need to fabricate more of them to meet our demands for safety… we just need a higher real value on the stock of existing t-bonds. This can be entirely met by shifts in prices. Where is the problem that needs to be rectified? This is a great question. Why haven’t financial markets–the nimblest, most flexible markets of all–pushed treasury values to levels that would cause the market for safe assets to clear? Shouldn’t arbitrage in these markets fixed this problem long ago? Let me begin my answer by recalling why the ongoing shortage of safe assets is such a big deal. Safe assets facilitate transactions for institutional investors and therefore effectively acts as their money. During the crisis, many of these transaction assets disappeared just as the demand for them was picking up. Since these institutional money assets often backstop retail financial intermediation, the sudden shortage of them also meant a shortage of retail money assets. In other words, the shortage of safe assets matters because it means there is an excess demand for both institutional and retail money assets. 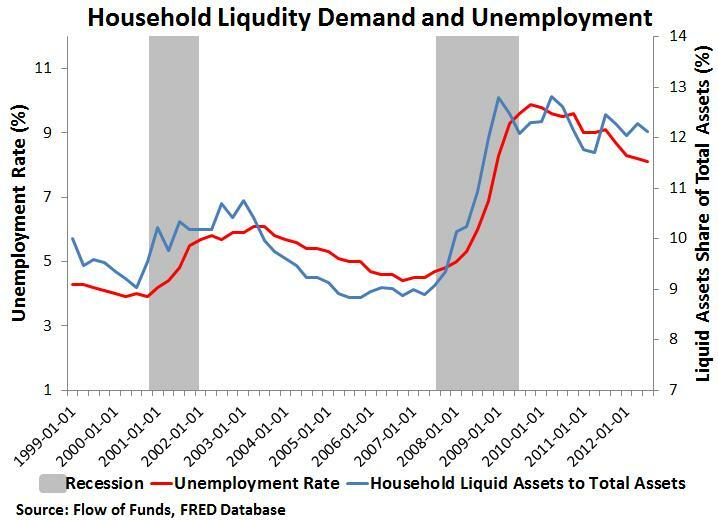 This excess money demand, in turn, is keeping aggregate nominal expenditure growth below where it should be. It is also important to note that although the crisis began in 2007 there has been a series of subsequent shocks that have kept the demand for safe assets elevated: the Euro crisis of 2010-2012, the debt-ceiling talks of 2011, the fiscal cliff of 2012, and concerns about a China slowdown. So there hasn’t been for sometime a period of prolonged calm to ease the heightened demand for safe assets. Still, Koning’s argument should still hold despite this spate of bad economic news. 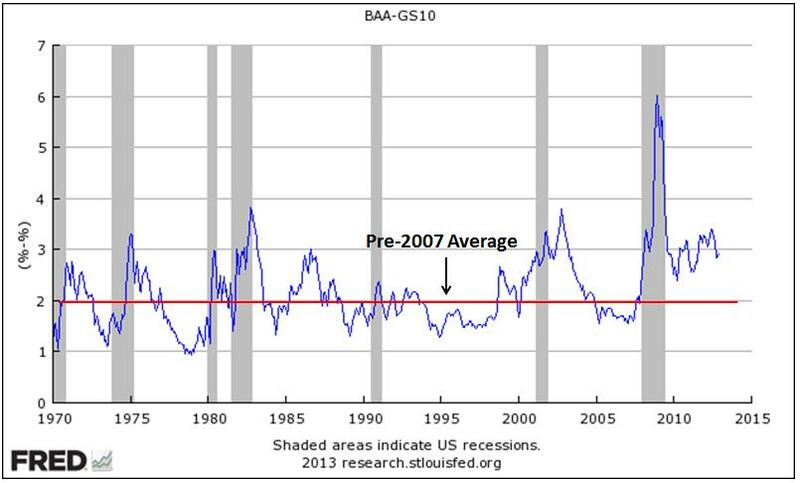 Safe asset prices should be able to adjust to reflect these developments. In addition, the heightened economic uncertainty and the ZLB means the demand for these transaction assets (i.e. money and treasuries) becomes almost insatiable. Investors, therefore, shy away from other higher yielding, riskier assets that normally would lure them. Portfolios get overly weighted toward liquid assets. Note what is happening here: treasuries and money become increasingly close substitutes as they approach the ZLB, while the overall transaction asset market becomes increasingly segmented from other asset markets. 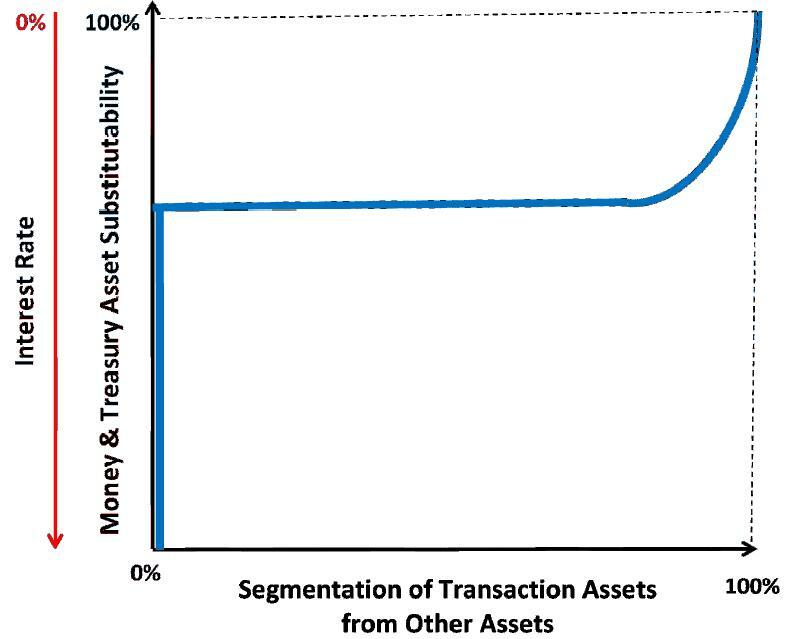 In other words, as arbitrage becomes more powerful among transaction assets like money and treasuries, it becomes less powerful between the market for transaction assets and other asset markets. The short answer to Koning’s question, then, is that the ZLB has segmented the transaction asset market and this is preventing the safe asset market from clearing. Below is my initial attempt to show this graphically. 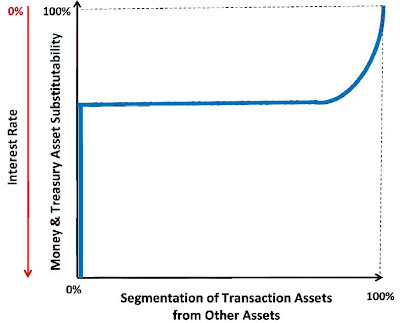 It shows that while treasury and money assets substitutability is always responsive to interest rate changes, market segmentation is not and only kicks in after some threshold close to the zero bound is reached. In other words, at some point when treasuries and money become close enough substitutes, the market for transaction assets begins to segment from other markets. Where this actually occurs is unknown and the way I have drawn it is arbitrary. But hopefully you see the point. Now market segmentation is a controversial idea. Many observers don’t accept it. But it seems like a compelling story for the transaction asset market at the ZLB. 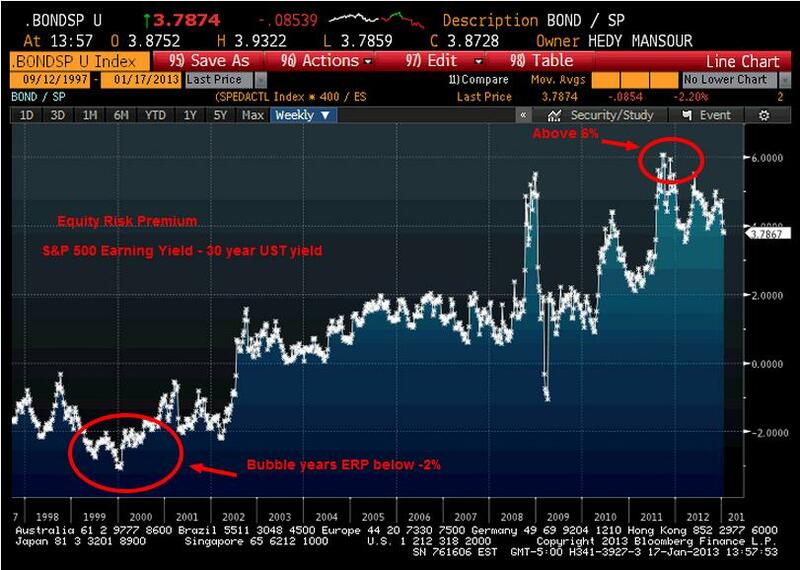 Empirically, it provides an easy explanation for why BAA-AAA corporate yield spread, junk bond spread, and other non-transaction asset spreads are getting closer to historical norms, while theBAA yields-10 treasury yield spread and the S&P500 earnings yield-20 year treasury yield spread remain inordinately high.Welcome to the strange new world of transaction asset market segmentation. P.S. Market Monetarists, including myself, typically downplay the importance of the ZLB for monetary policy. We argue the ZLB is really just an artifact of doing monetary policy with an interest rate; it should have no actual bearing on the efficacy of monetary policy. Here, in the case of the safe asset shortage, it does seem to be a non-trivial phenomenon that needs to be taking seriously. 1Given a sticky price level, the increased holdings of money at the ZLB will also continue since the price level does not adjust quickly either.